Kat Aoki has nearly 10 years worth of professional IT and troubleshooting experience. She currently writes digital content for technology companies in the U.S. and Australia. Wi-Fi calling is a service offered by the major U.S. mobile service providers that allows you to use a Wi-Fi network instead of your mobile phone plan to make and receive calls. It's a handy feature when you can't get mobile phone reception or have limited minutes on your phone plan. Here's a closer look at Wi-Fi calling, when you can use it, and how to turn it on for Android smartphones. Wi-Fi calling is a HD (High Definition) Voice service offered by mobile service providers, including Verizon, AT&T, T-Mobile, Sprint, and others. Together with your HD Voice compatible Android smartphone, Wi-Fi calling allows you to place calls over a Wi-Fi network instead of your phone plan. With Wi-Fi calling enabled, you can make calls directly from your phone's dial pad. No special software or apps are required. Having an Android smartphone doesn't guarantee you'll be able to use Wi-Fi calling. It depends on your carrier's services and the type and model of smartphone you have. Some new, but lower end, Android phones may not support Wi-Fi calling. How Does Wi-Fi Calling Work? Wi-Fi calling relies on HD Voice technology, which delivers calls over the fourth generation of wireless networks (more commonly known as 4G LTE). 4G LTE offers better quality and faster speeds than older technologies, such as 3G. This results in clearer, more natural sounding calls. Wi-Fi calling has actually been around for some time now. Services such as Skype, WhatsApp, and Facebook Messenger have been using Wi-Fi networks to power connections between users for years. What people may not know is that many carriers and smartphones support Wi-Fi calling, and you don't need to use any special software or apps to make it work. To find out if a mobile service provider supports Wi-Fi calling, you can check their website for details or call. You want to make sure a given carrier supports the service before signing up for a plan. Some pre-paid plans — even ones that run on the back of networks that do support Wi-Fi calling — may not offer Wi-Fi calling to their subscribers. What Are the Benefits of Using Wi-Fi Calling? The main benefit of Wi-Fi calling is that you can use any Wi-Fi connection to make calls. Unlike your mobile phone service, Wi-Fi calling is not tied to any specific carrier or network. 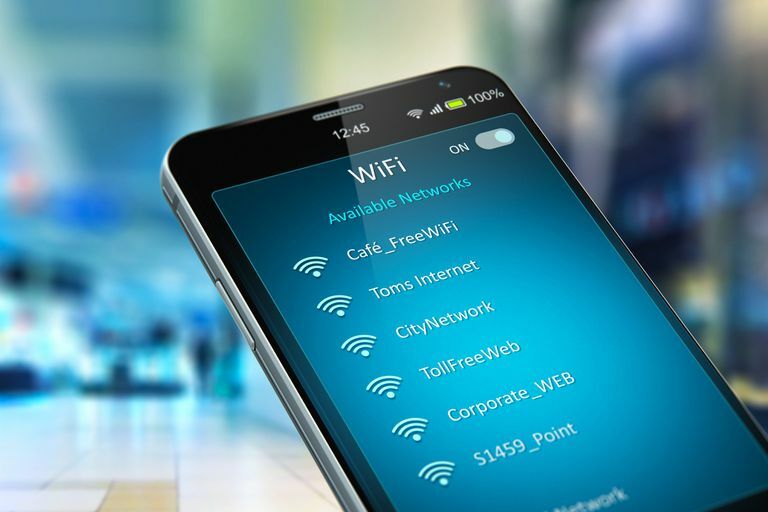 This means you can make Wi-Fi calls using your home or office Wi-Fi connection, as well as Wi-Fi networks found in cafes, libraries, or airports. As long as your phone can connect to a Wi-Fi hotspot, you can make a call. But with most things in life, Wi-Fi calling has its pros and cons. Just like a regular phone call, you can use your phone's key pad to dial and your number is displayed to receivers. Wi-Fi calls to U.S. numbers are free, even when calling from overseas. You can also make video calls with other HD Voice capable phones, so you can see friends and family from afar. Wi-Fi calling only works with HD Voice compatible devices. Many older models (and some new models) of Android smartphones don't support Wi-Fi calling. Not all carriers offer Wi-Fi calling. For example, pre-paid services that rely on other networks may not offer it. Be sure to check with the specific provider. Wi-Fi calling to non-U.S. numbers are subject to your plan's long-distance charges. They are not automatically free. Wi-Fi calls to non-U.S. numbers may result in additional charges. Check your specific phone plan for details. Most of the newer smartphones offered for sale through the major mobile service providers support HD Voice, the technology which allows you to make Wi-Fi calls. Want to know if your Android is Wi-Fi calling compatible? Finding out if your existing smartphone will support Wi-Fi calling is not always a straightforward matter. This is especially true if you have an older phone or if you're on a pre-paid plan and want to switch to a network that supports Wi-Fi calling. In this case, you'll have to do a model check on your Android phone. Some carriers allow you to enter your phone's IMEI number online to check compatibility with their services. Sometimes it's easier to call the provider to check if your specific Android model is supported. If it isn't, you may have to buy a new smartphone. Ok, My Android Is Compatible... How Do I Set Up Wi-Fi Calling? Once you've confirmed your mobile service provider and Android phone both support Wi-Fi calling, it's a straightforward matter to activate Wi-Fi calling. In your phone's settings, turn on Wi-Fi and connect to a Wi-Fi network (skip this step if your phone is already connected to Wi-Fi). Go to into your phone's Settings menu. Under Wireless and Networks, select More. Once these steps have been performed successfully, Wi-Fi calling should be turned on. You can turn it off by going back into the same settings and toggling the Wi-Fi Calling option off. How Will I Know If WI-Fi Calling Is On? When Wi-Fi calling is activated, you should see a Wi-Fi phone icon in the status bar. You can also pull down the notification screen, where you will find a message stating that calls will be made over Wi-Fi. If you have any problems or questions, contact your mobile service provider for technical support.